HATFIELD, Penn. – K’Nex Brands celebrates the 100th birthday of Lincoln Logs in 2016 with production of the iconic log building toy returned to the United States for the first time in nearly 60 years. The announcement was made at the Toy Industry Assocation annual fair that opened in New York's Javits Center today. The toy Lincoln Logs have stirred controversy over the years, first when Hasbro shifted material from wood to plastic - roundly rejected by parents - then by moving production to China when a U.S. producer for the small wood parts could not be located. Last year K'Nex contracted with wooden golf-tee manufacturer Pride Manufacturing Company, a 130-employee company in Burnham, Maine. The logs had been produced in China for the toy maker K'Nex Brands, which is famed for insourcing its other toy lines. Pride Manufacturing produces wood golf tees, and reached out to K'Nex after learning of its efforts to insource manufacture of Lincoln Logs. Originally made of redwood, the logs are now made of several species. Pride engineered equipment to produce the logs, and will output about 30 million annually. Randy Dicker, senior director of manufacturing at Pride’s Burnham facility, expected addition of the production of Lincoln Logs to create up to 10 new jobs. Developed in 1916 by John Lloyd Wright, son of the famous American architect, Lincoln Logs is licensed by Hasbro, and produced and distributed by K'Nex Brands. 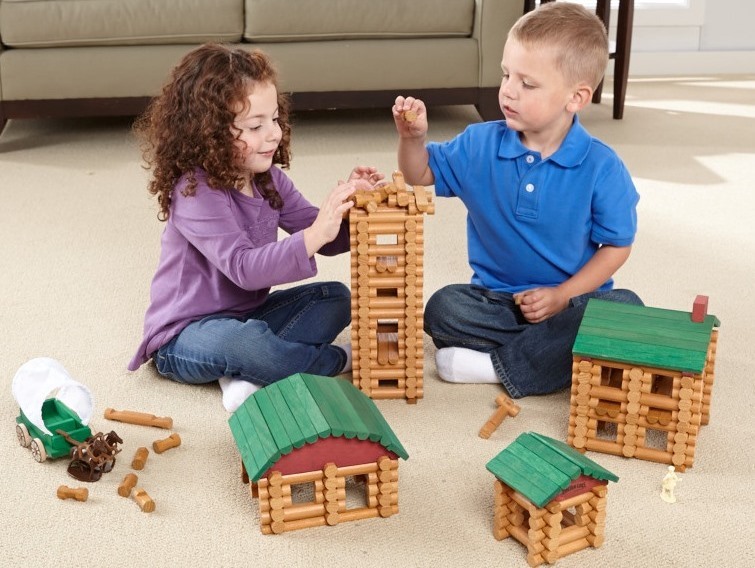 Lincoln Logs is authentic piece of Americana, K'Nex says, and also helps children develop fine motor and problem solving skills.